Zadar-apartments.co.uk offers you the largest list of private accommodations in Benkovac available on the internet, a rich photogallery and much more. Find apartments, villas with pool, studio-apartments, from cheap rooms to luxury apartment with no reservation cost. Check out guest reviews and ratings, and have a best vacation in Benkovac. Air-conditioned accommodation, max 7 persons town of Benkovac The accommodation is entirely equipped with everything to make your holiday enjoyable. Distance to the train: 41km. Distance to the ferryboat: 41km. Distance to the beach: 12km. Distance to the bar: 7km. Entertainment and Outdoor activities: TV, Satellite television. Cheap Apartment, great sea views price per day from € 86 Those looking for tranquility and quiet during their holiday vacation in Dalmatia, will find it in this apartment, located merely a few meters from the sea. Apartment is equipped with comfy furniture and modern home appliances. Distance to the shopping center: 900 m. Distance to the beach: 450 m. Distance to the restaurant: 750 m. General details: barbecue, parking. Holiday apartment, close to the beach, with AC This modern house is the suitable choice if you want a real family trip. Escape from everyday life and enjoy in the tranquility and quiet. Entertainment and Sport: TV, Satellite television. Distance to the beach: 300 m.
Apartment 349428 Trendy apartment will provide everything you need for your most suitable vacation. Visit the many historic and cultural sites and take memories from holidays as charming souvenirs. Distance to the restaurant: 300 m.
Apartment, close to the beach If you are think up about ideal holiday and comfy accommodation then you really should pick this apartment. Trendy apartment is positioned only 100 m from the beach. Distance to the beach: 100 m. Entertainment and Outdoor activities: TV, Satellite television. Cheap accommodation, max 7 persons Completely furnished interiors situated on the exceptional location are just one of the reasons why you should book this quality house in Pasman. Entertainment and Outdoor activities: TV, Satellite television. Distance to the restaurant: 100 m. Distance to the ferryboat: 6 km. Distance to the beach: 100 m.
Apartment Jure Apartment Jure presents pet-friendly accommodation in Sukošan. The air-cooled unit is 10 km from Zadar. Free car parking is available on site. A microwave, a fridge and a stovetop can be found in the kitchen. Towels and bed linen are provided in this apartment. Apartment Jure presents gratis wireless internet throughout the property. Vodice is 49 km from Apartment Jure, while Biograd na Moru is 16 kilometers away. Accommodation, max 4 persons price per day from £ 54 If you want to spend your holiday with your family members, book this house in Tkon. Vacation house is located in a peaceful part of Tkon with beautifully decorated rooms with lots of light, garden surrounded by greenery and flowers. Distance to the restaurant: 500 m. Distance to the train: 45 km. Distance to the beach: 20 m. General details: garden, barbecue. Apartment near the beach, 92 square meters, 70 eur per day price per day from € 70 If you wish to spend your vacations in Tkon, then this accommodation is excellent for you. Entertainment and Outdoor activities: outdoor grill, Satellite television. Distance to the restaurant: 500 m. Distance to the marketplace: 400 m. Distance to the beach: 140 m.
Apartment, 125 square meters price per day from € 53 Apartment, positioned close to the sea and attractive pebbly beaches, offer you comfortable accommodation in the center of Tkon, close to Zadar. Entertainment and Outdoor activities: outdoor grill, Satellite television. Distance to the restaurant: 580 m. Distance to the marketplace: 500 m. Distance to the beach: 70 m.
Apartments Daniel Ćustić price per day from € 45 Featuring free internet access and free car parking, Apartments Daniel Ćustić presents air-cooled accommodation. Set in Murvica, 8 km from Zadar’s historic centre its visitors have a back yard with grill amenities and a playground at their disposal. All accommodation units feature satellite television and a kitchen or a kitchenette with a dining area. 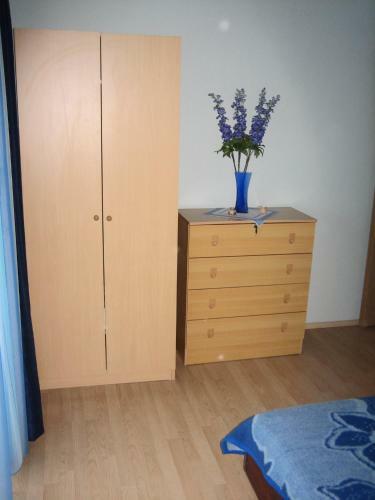 Each unit comprises a private toilet with shower and a hairdryer. Some units also include a washing machine. The closest café and a grocery store can be reached within 200 metre, while a supermarket is at a distance of 500 metres, as well as a dining establishment serving local specialities. A local bus stop is 300 metres from the Daniel Ćustić Apartments.